Looking for Tick Spraying & Control in Fairfield County, CT? Call Stopa! Specializing in Fairfield tick spraying! We can cover all of Fairfield County and most of Southern Connecticut! Protect your family before it’s too late. Ticks are at their prime! It’s time to protect yourself and hire us to spray your yard. We offer both organic and chemical spray options. It’s our natural tick control at it’s best! 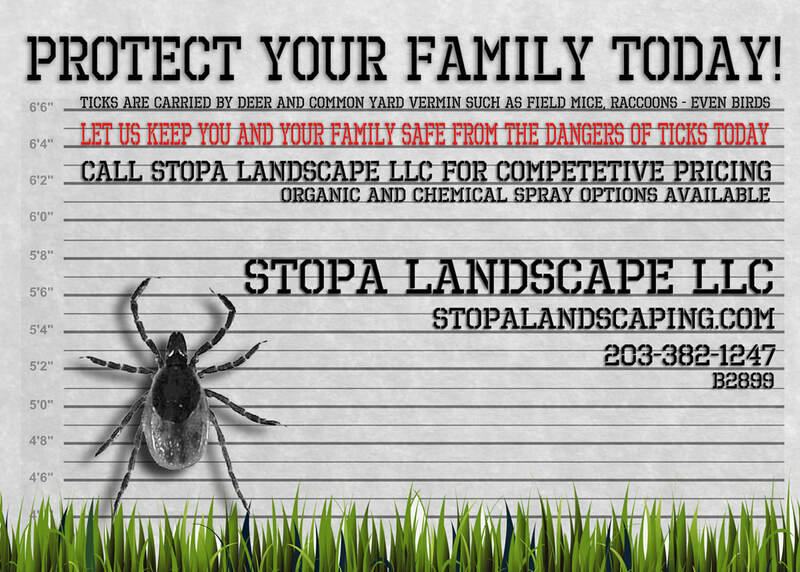 Call Stopa Landscaping at (203) 382-1247!